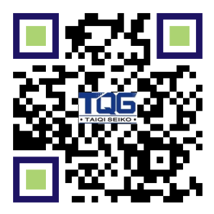 High reliability due to the high quality of raw materials. High load capacity and good cooling function. High efficiency with various ratios. 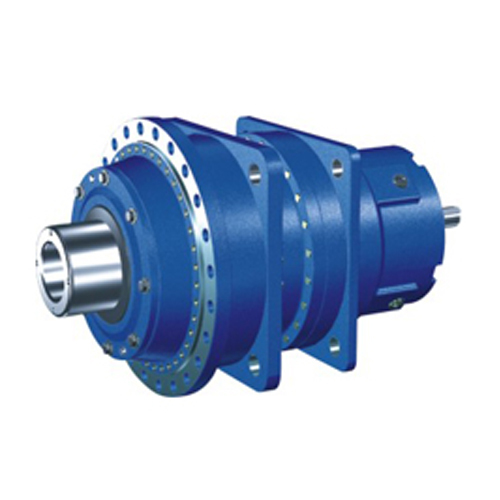 P series planetary gear reducer adopts the involute planetary gear drive and reasonably use the internal and external meshing and power diversion.Therefore, it features of light in weight, small in size, wide range of ratios, high efficiency, stable running, low noise, strong adaptability. 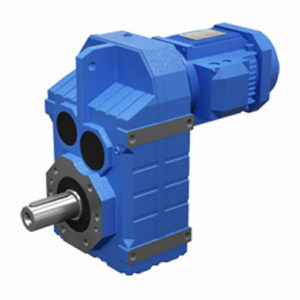 The gear box is made of ductile iron casting, which greatly improved the rigidity and shockresistance of the gear box. The sun gear, planetary gears, inner gear ring and spiral bevel gear in the gear box are all treated with controlled atmosphere carburizing and quenching process, which can achieve the high hardness and wear-resistance surface. 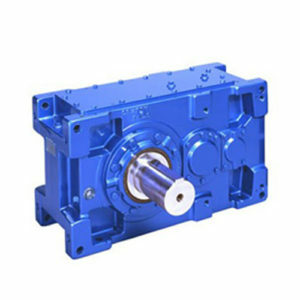 After heat treatment, all gears are ground that can reduce the noise and has improved the efficiency and shock-resistance of the gear reducer. 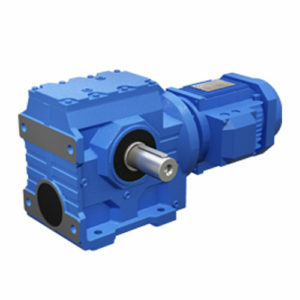 The input method of the planetary gear reducer: concentric shaft input, helical gear input, bevel gear-helical gear input, bevel gear input. Output method: internal spline type, hollow shaft shrink disk type, external spline type, solid shaft flat key. 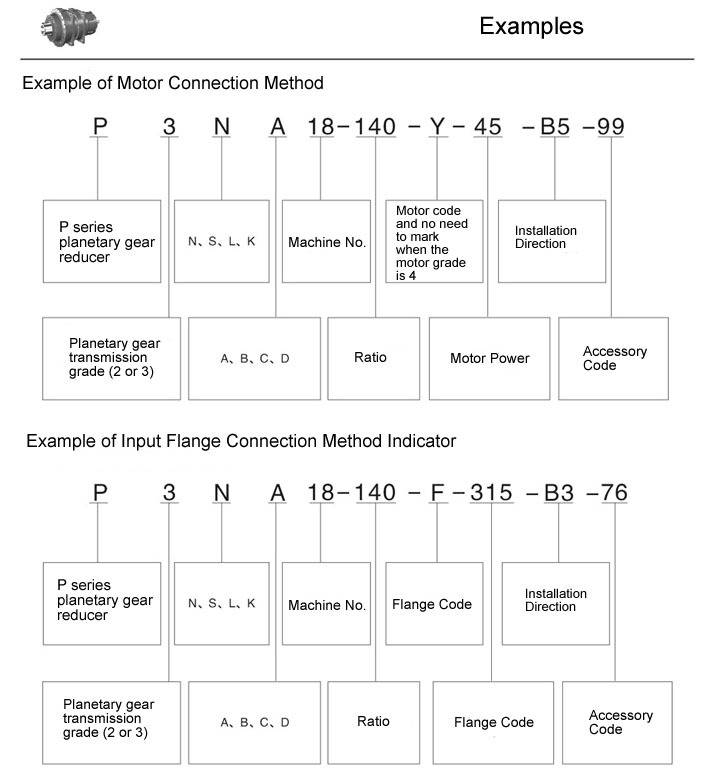 Installation form: horizontal installation, vertical installation, torque arm installation. 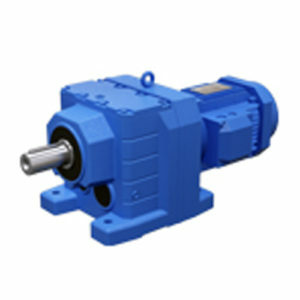 P series planetary gear reducers are designed with 9-34 type of specifications. 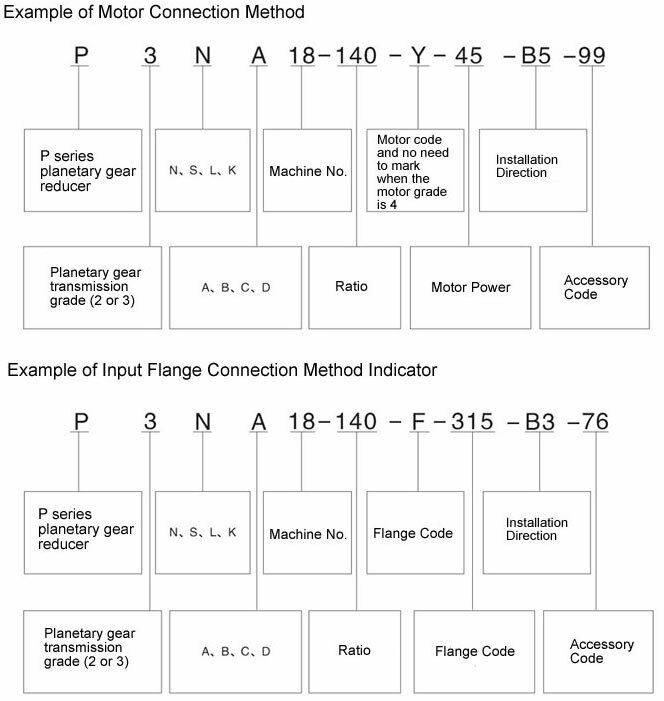 The planetary transmission grades are divided into 2 and 3 grades. 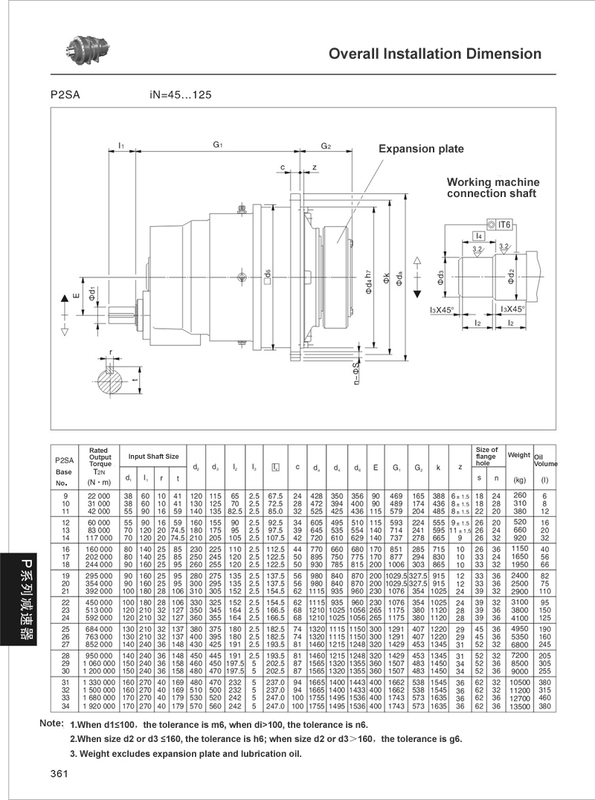 The reduction ratio is from 25 to 4000, and if the planetary speed reducer is used with R or K series, that will get bigger ratios.